The emergence of mobile applications has fundamentally changed the way that millions of people around the world work, play, and communicate. Users can now download every type of application imaginable - from games, to maps, to movie and TV show tie - ins, to apps that will turn a device into a flashlight, and more -directly to their smart phones and other mobile devices. Fortunately, developers can protect their code - and their customers - with a straightforward and easy-to-manage technology: code signing certificates. 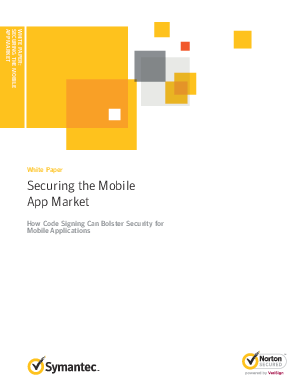 This whitepaper will detail the rise of mobile applications and why code signing certificates are essential to protecting the entire mobile apps ecosystem.